Office Hours: Monday through Friday - 8:00 a.m. to 4:00 p.m. The Borough of Green Tree's Administrative Office is the nerve center to handle residents' questions and problems. The Administrative Office consists of the Borough Manager/Zoning Officer, Borough Engineer/Code Enforcement Officer, Engineering Technician/Asst. Code Enforcement Officer, Finance Director, and two full-time secretaries. 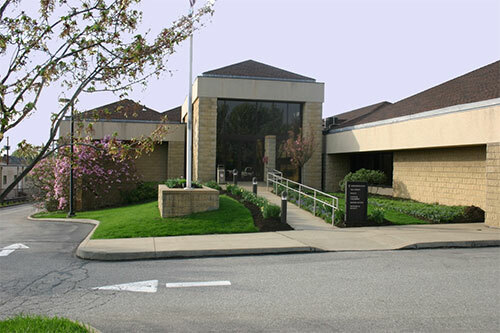 The Administrative Office handles residents' concerns, maintains accurate Borough records regarding real estate taxes, and carries out the directions of Borough Council to provide necessary services. They can help you with real estate tax questions, zoning issues, building permits, animal control problems and other questions you may have about Green Tree. If the Administrative Office is unable to assist you with your problems, they can help point you in the right direction. The Administrative Office also handles collection of Business Privilege Taxes and Local Services Tax. Green Tree Borough's Administrative Office is located on the second floor of the Green Tree Municipal Center, 10 West Manilla Avenue. Entrance to this office directly through the rear of the building. Office hours are Monday through Friday, 8:00 a.m. - 4:00 p.m. Telephone: 412-921-1110.